For more than twenty years, our attorneys have briefed and argued appeals before the Ohio and United States Supreme Courts, all twelve Ohio Appellate Districts, and the United States Sixth Circuit. They began their careers as staff attorneys in the appellate courts before focusing their careers on contesting, fighting adverse trial court rulings and defending lower court victories in civil, criminal, and administrative proceeding. Our success is due to our commitment to see justice upheld, which is why we keep abreast of litigation trends and ever-changing case law to mount the strongest possible appeal in your case. Drawing upon more than two decades of appellate advocacy, we can spot deficiencies in legal rulings that may overturn a verdict or conviction. Whether you wish to affirm or reverse a decision, our diligent research and knowledge of federal and state case law can maximize your chances for obtaining the result you seek. Sufficiency of evidence — Decisions may purportedly lack the proper foundation or are rendered against the weight of the evidence introduced. Proper legal interpretation — A judge may have misread the relevant case law. 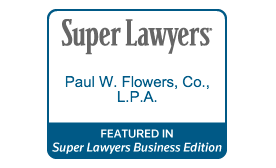 Improperly admitted testimony — A claim may arise that testimony is unduly prejudicial. Expert admission — There may be challenges to the admission of expert evidence under the Daubert standard. Procedural errors — Violations may be identified under federal or state rules that govern trial litigation. Faulty jury instructions — Misstated directions from the judge might have improperly influenced jury members in their deliberations. Ineffective assistance of counsel — The trial attorney may have committed significant mistakes that justify a new trial. 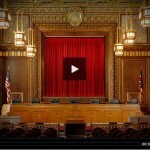 For all of these matters, you can rely on advice from an established appellate attorney. 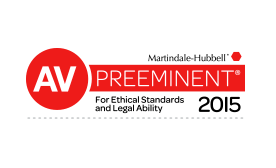 Our firm’s principal attorney is AV® Preeminent™ Peer Review Rated by Martindale-Hubbell®, a recognition of his legal ability and ethics based on evaluations from fellow lawyers who know his work. When assisting clients with appeals, we take the time at our firm to explain the various aspects and advantages of each step in the process. This way, our clients can make fully informed decisions on how to pursue the most favorable outcome. If you have questions about an adverse trial decision or are faced with a challenge to a case you’ve won, call Paul W. Flowers, at 216-344-9393 or contact him online for a free consultation at our Cleveland office. We are happy to explain the relevant issues in your case and discuss your options for appeal.